The St. Louis Cardinals won four of six, but sit six games out of first place. Heading toward free agency, Lance Lynn continues to excel on the mound. In our history feature, the 1918 Cardinals and their triples proficiency are remembered. In a surprising move one day before the August waiver deadline, the St. Louis Cardinals traded starting pitcher Mike Leake to the Seattle Mariners for minor league shortstop Rayder Ascanio. The Cardinals also sent $750,000 in international pool money to the Mariners. In his second of a five-year deal with the Cardinals, Leake had to waive his no trade clause in order to make the deal happen. Leake is owed $48 million over the next three seasons. The Cardinals are sending $17 million of that to the Mariners. To fill the rotation spot, St. Louis called up Memphis right handed pitcher Jack Flaherty, who made his first start on Friday against the Giants. Leake had a fantastic first half, but struggled in the second. The Cardinals considered removing him from the rotation, but gave him one last start before trading him. Ascanio, 21, is from Venezuela and has been assigned to the Cardinals Class-A Advanced Palm Beach Cardinals. The Cardinals thumped the Brewers in the first of two games at Miller Park. St. Louis scored the bulk of its runs in the third, fourth, and fifth innings. In the third, a Brewers error led to the first St. Louis run, and two more runs came home on a Luke Voit groundout. Aggressive base running by Dexter Fowler resulted in two runs on the play. Paul DeJong and Voit plated two runs each on singles in the fourth. In the fifth, Matt Carpenter blasted a two run home run to center field. The 10th and final run scored in the seventh on a DeJong RBI single. DeJong and Voit were 2-for-5. Tommy Pham was 2-for-4, as was Carson Kelly. St. Louis starter Luke Weaver pitched 5 2/3 innings, giving up two runs on eight hits. The rookie right hander fanned 10 and walked one to earn his third win of his major league season. Zach Duke relieved in the sixth and got the final out of the inning. Seung-Hwan Oh, Brett Cecil, and Ryan Sherriff each pitched a scoreless inning of relief. On the base paths, Pham was caught stealing for the sixth time. In the second of two at Miller Park, the Cardinals narrowly lost to the Brewers. Starter Carlos Martinez pitched 5 2/3 innings, giving up six runs, only three earned, on 10 hits, thanks to some poor Redbird defense. Martinez struck out seven but walked none. Ryan Sherriff relieved and got the final out of the sixth inning. Sam Tuivailala and Matt Bowman each tossed a scoreless inning of relief. Martinez lost his 10th game of the season. The Cardinals got on the board first in the first inning, on two run home run from Tommy Pham. The long ball was responsible for all St. Louis’ runs. Randal Grichuk launched a solo home run in the fifth. Pham hit another two run shot in the eighth. Pham was 2-for-4, both home runs, for four RBI and two runs scored. Three errors hurt the Cardinals. Jose Martinez and Paul DeJong committed throwing errors. Matt Carpenter made a fielding error. The Cardinals prevailed against the Giants in San Francisco in the first of a four game set. A two run home run by Randal Grichuk in the second inning got the Cardinals on the board first. A 3-for-4 performance by Tommy Pham aided in the victory. Pham singled in a run in the seventh inning and was hit by a pitch with the bases loaded in the eighth to plate his second run. Also in the fifth, a bases loaded walk by Greg Garcia sent another run home. Grichuk was 2-for-4 with two runs scored. Starting pitcher Michael Wacha pitched six innings, giving up one run on four hits. The righty struck out two and walked two. Matt Bowman and Tyler Lyons tossed a scoreless seventh and eighth, respectively. John Brebbia got one out the ninth and allowed one run. Zach Duke and Seung-Hwan Oh secured outs two and three, respectively. Wacha won his 10th game of the season. The Cardinals took the second of the four game set, thanks to a six run ninth inning rally. The Redbirds scored twice in the third and the seventh innings and a fifth run in the eighth to tie the game. Harrison Bader’s two run home run in the third cut the 3-0 Giants lead to one run. In the seventh, Greg Garcia’s ground out plated a run, and Randal Grichuk followed with a solo home run. Garcia tripled in a run in the eighth. The ninth inning scoring began with Kolten Wong’s RBI single. Paul DeJong doubled to plate two. Yadier Molina’s single brought a fourth run home, then Stephen Piscotty launched a two run home run. Wong, Bader, and DeJong were each 2-for-4. Molina was 2-for-5. Piscotty was 3-for-5 with three runs scored. Rookie starter Jack Flaherty made his major league debut. Flaherty pitched four innings, giving up five runs on eight hits. Though the start was rough for the rookie, he did strike out six in those four innings. John Gant tossed two scoreless innings in relief of Flaherty. Brett Cecil and Tyler Lyons each pitched a scoreless inning, with Lyons getting the win. Sam Tuivailala allowed one run in the ninth. Wong made a fielding error. The Redbirds were the hard luck extra-inning loser of the third game of the series in San Francisco. St. Louis bats couldn’t figure out Giants starter Jeff Samardzija, managing only two hits against him and three in the game. Two of the three hits came from Dexter Fowler, who was 2-for-4 with the only RBI. The lone run came in the fourth on a Fowler single. Fowler also tripled in the 10th, but was stranded. Starter Lance Lynn pitched an excellent game, but wasn’t rewarded by his offense. Lynn went eight scoreless innings, allowing only one hit, fanning four and walking four. Tyler Lyons gave up a run in the ninth, and was pulled with one out. Seung-Hwan Oh pitched to one batter and allowed an inherited runner to score. After Oh gave up the RBI single to Buster Posey, Ryan Sherriff got the final two outs of the ninth. Sherriff returned for the 10th and gave up the walk off home run to the first batter he faced to take the loss. The Redbirds pulled out the Giants series win on Sunday in the rubber game. Luke Weaver won his fourth game of the season, pitching seven innings, giving up two runs on four hits. The righty fanned nine and walked two. Rookie reliever Sandy Alcantara allowed one run in his major league debut, striking out one and issuing one free pass in his 2/3 of an inning. Zach Duke got the final out of the eighth before John Brebbia pitched a scoreless ninth. Harrison Bader and Jose Martinez were the stars of the Cardinals show, driving in five of the seven runs between them. Martinez and Paul DeJong hit back to back solo home runs in the fourth to take a 2-1 lead. Bader added a solo shot in the sixth, followed by an RBI double from Martinez and an RBI double by Yadier Molina. Bader drove in a run on a single in the seventh, and Martinez’ ground rule double in the seventh plated a second run. Bader was 2-for-5, Martinez was 3-for-5. The Cardinals finished the week 4-2, splitting the two game series with the Brewers, and taking 3 of 4 from the Giants. The team remains in third place in the NL Central, six games back of the Cubs, and 2.5 games back of the Brewers. The Cardinals have 26 games remaining in the regular season. The rosters expanded on September 1, and the Cardinals added pitchers Jack Flaherty, John Gant, and Sandy Alcantara, and position players Harrison Bader, Alex Mejia, and Alberto Rosario. Flaherty takes over a rotation spot following the trade of Mike Leake, and Luke Weaver continues in the rotation in place of the injured Adam Wainwright. It is unknown whether Wainwright will return to the rotation before the end of the regular season, but the expectation is that he will. The Cardinals are not gaining ground, and without an extended winning streak, they are unlikely to make the postseason. Tommy Pham is batting .471 with an OPS of 1.491. He has 2 HRs, 2 doubles, and 6 RBI. Stephen Piscotty is batting .286 with an OPS of .976. He has 1 HR, 1 triple, and 2 RBI. Harrison Bader is batting .500 with an OPS of 1.850 in five plate appearances. He has 1 HR and 2 RBI. Carson Kelly is batting .400 with an OPS of 1.100 in six plate appearances. He has 1 double. 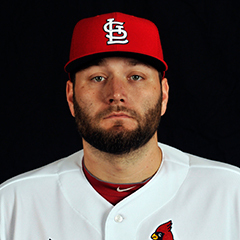 Lance Lynn has an ERA of 1.20 and a WHIP of 0.93. Brett Cecil has an ERA of 0.00 and a WHIP of 0.50. Matt Bowman has an ERA of 0.00 and a WHIP of 0.50. Over the past seven days (does not contain recent Sunday games):. Luke Voit is batting .167 and has an OPS of .333. Paul DeJong is batting .185 and has an OPS of .464. Jack Flaherty has an ERA of 11.25 and a WHIP of 2.25. Carlos Martinez has an ERA of 4.76 and a WHIP of 1.76. Sam Tuivailala has an ERA of 6.00 and a WHIP of 1.00. John Brebbia has an ERA of 5.40 and a WHIP of 2.40. The leadoff hitter has been Matt Carpenter for four games and Kolten Wong for two games. The number 2 hitter has been Tommy Pham for four games, Harrison Bader for one game, and Jose Martinez for one game. The number 4 hitter has been Dexter Fowler for five games, and Matt Carpenter for one game. The number 5 hitter has been Yadier Molina for five games, and Wong for one game. The number 6 hitter has been Wong for two games, Stephen Piscotty for two games, Luke Voit for one game, and Martinez for one game. The number 7 hitter has been Greg Garcia for two games, Piscotty for one game, Wong for one game, Voit for one game, and Grichuk for one game. The number 8 hitter has been Grichuk for four games, Garcia for one game, and Carson Kelly for one game. 8/30 The Cardinals traded RHP Mike Leake, international bonus money and cash to the Seattle Mariners for SS Rayder Ascanio. 8/31 The Cardinals designated LHP Kevin Siegrist for assignment. 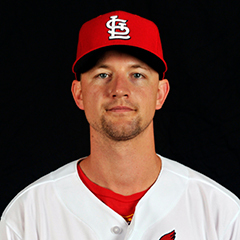 8/31 The Cardinals recalled RHP John Gant from the Memphis Redbirds. 9/1 The Cardinals sent LHP Sean Gilmartin outright to the Memphis Redbirds. 9/1 The Cardinals selected the contract of RHP Sandy Alcantara from the Springfield Cardinals. 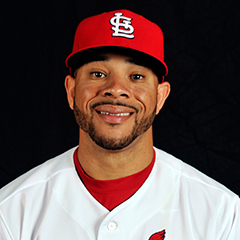 9/1 The Cardinals selected the contract of C Alberto Rosario from the Memphis Redbirds. 9/1 The Cardinals selected the contract of RHP Jack Flaherty from the Memphis Redbirds. 9/1 The Cardinals recalled CF Harrison Bader from the Memphis Redbirds. 9/1 The Cardinals recalled 2B Alex Mejia from the Memphis Redbirds. 9/2 The Philadelphia Phillies claimed LHP Kevin Siegrist off waivers from the St. Louis Cardinals. 3B Jedd Gyorko (right hamstring strain) played catch on Saturday, his first baseball activity since going on the disabled list. Gyorko is eligible to come off the disabled list on Wednesday, but no definitive announcement has been made as to when he will return. RHP Adam Wainwright (right elbow impingement) continues on the 10 day disabled list. Wainwright was shut down from throwing activity. A reevaluation is expected soon. RHP Trevor Rosenthal (right elbow) was scheduled to have Tommy John surgery the week of August 28. OF Tommy Pham missed two games due to jamming his thumb into second base on Thursday night in San Francisco. Pham returned to the lineup for Sunday’s game. OF Dexter Fowler has been out of the lineup for a sore hip, aggravated by a slide into second base in Saturday’s game. He is considered day to day. Following the Giants series in San Francisco, the Cardinals travel to San Diego to take on the Padres in a four game series. Carlos Martinez is scheduled to make the Monday start, followed by Wacha on Tuesday, Jack Flaherty on Wednesday, and Lance Lynn on Thursday. The team then returns home to St. Louis for a weekend series against the Pittsburgh Pirates. The Cardinals have an off day on the Monday after the Pirates series, then begin a three game set at home against the Cincinnati Reds. The homestand will end on Thursday, September 14, as the Cardinals travel to Chicago to play the Cubs in a weekend series at Wrigley Field. Another Monday off day follows as the team travels to Cincinnati for a three game series against the Reds. St. Louis will then continue to Pittsburgh for a weekend series against the Pirates. In Friday’s game against the Giants, four Cardinals tripled in the 11-6 victory – Yadier Molina, Stephen Piscotty, Greg Garcia, and Dexter Fowler. Garcia’s triple drove in a run. Hitting four triples in a single game is not an easy feat, even for a ballpark that has a “triples alley” like AT&T Park in San Francisco. In fact, the last time the Cardinals hit four triples was in the second game of a doubleheader on July 27, 1918, 99 years prior. Those four triples in that game were hit by three players. Two triples came from right fielder George Anderson. The others came from second baseman Bob Fisher, and shortstop Rogers Hornsby. That July 27 game was a victory for the Cardinals by a score of 22-7 over the Brooklyn Robins. The Robins were the precursor to the Brooklyn, and later, Los Angeles Dodgers. The Robins were so named from 1914 to 1931. The 1918 version of the Robins finished the season with a record of 57-69 and were fifth in the National League. The 1918 Cardinals were worse, finishing eighth (dead last) in the National League, with a record of 51-78. The 1918 squad were managed by Jack Hendricks, and featured Hornsby as the starting shortstop. The primary starting lineup in addition to Hornsby were catcher Mike Gonzalez, first baseman Gene Paulette, second baseman Fisher, third baseman Doug Baird, and outfielders Cliff Heathcote, Austin McHenry, and Walton Cruise. The starting rotation consisted of right handers Bill Doak, Red Ames, and Lee Meadows, and left handers Gene Packard and Jakie May. The 1918 Cardinals would be the last Cardinals team to finish in last place until 1990, 72 years later.